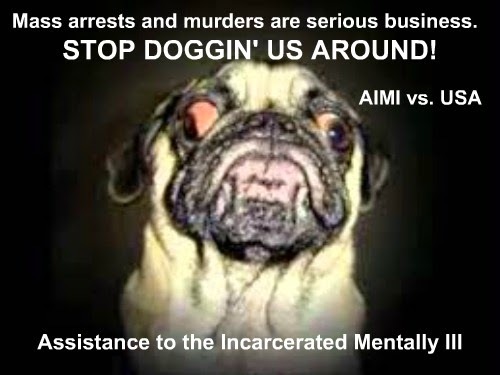 We at Assistance to the Incarcerated Mentally Ill (AIMI) perceive that our pleas for human and civil rights of our most vulnerable citizens have fallen on deaf ears. Our relatives, friends, neighbors, and fellow countrymen who have serious mental illness are still being murdered during arrest attempts and as jail and prison inmates. Although America spends whatever is necessary to train military personnel, police and corrections officers still patrol our streets and correctional facilities without crisis intervention team (CIT) training and kill unarmed people experiencing psychiatric crises without any accountability. Inpatient hospital insurance that was wrongly withdrawn from mental patients in the 1970's has never resumed, although deinstitutionalization and reduction of community treatment programs for sick people was a failed experiment that left 1.25 million mental patients to rot in jails and prisons throughout the country at a tremendous expense to taxpayers - over $100 billion annually. In addition, withholding treatment unless and until crimes happen leaves everybody at risk - psychiatric patients, their families, and our communities. We Demand Change Now. Time is up. We are taking the USA to the U.N. in AIMI vs. USA - http://AIMI-HumanRights.blogspot.com >>No more killing sick, naked veterans, 107-year-old men experiencing old age dementia, petite, middle-age Latino ladies standing alone and vulnerable in their driveways, double amputees in their care homes, and no more prison murders and secret arrests and jail murders. 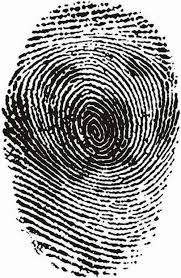 We demand an end to withholding psychiatric treatment in order to await a crime that excuses the arrest of mental patients for avoidable tragedies without any concern about who is hurt. No more racketeering to earn prison profits at the expense of what is just, humane, and safer for our communities. Americans have had enough. (3) resumption of Medicaid insurance for psychiatric inpatients, which was stopped in the 1970s and led to the privatization of jails and prisons. More than 50 percent of the deaths by police on the website "killed by police" were mentally ill victims. Over half the nation's 2.3 million inmates are mentally ill. We recognize that prison investors are allowed to make budgetary decisions and will NOT budget monies necessary to deal fairly with citizens who have serious mental illness, because to do so would reduce the value of their own stock portfolios. No more of this racketeering! Stop the mass arrest and violence against mentally challenged Americans today. Stop subjecting innocent police officers and ordinary citizens to avoidable tragedies to line your own pockets. STOP DOGGIN' US AROUND! Thanks. Too bad my GRAVELY and Mentally ill son @ Lake Correctional Institution No treatment. NO nfo. No visits. Catatonic is Not a dod. JUSTICE AND FREEDOM FOR OUR MENTALLY ILLS.